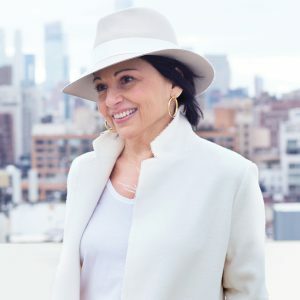 Denise Restauri is a storyteller, speaker, writer and connector. As the founder and CEO of GirlQuake, a Forbes Media contributor and host of the Mentoring Moments podcast (Forbes On PodcastOne network), Denise is amplifying the voices of females from multiple generations and democratizing mentoring. Denise is the author of Their Roaring Thirties: Brutally Honest Career Talk From Women Who Beat The Youth Trap. She was the executive producer of the inaugural Forbes Women’s Summit. She has been at start-up, speed-up and stay #1 companies in both digital and traditional media. Denise serves on the boards of female-led organizations She’s the First and The Empowerment Plan. She’s a guest lecturer at Stanford University and an honorary professor at Glasgow Caledonian University. Denise is a Tribeca Disrupter Foundation Fellow, has been named to numerous people to watch lists and has appeared on NBC Today, CBS Early Show, ABC News, CNN International and NPR. Mentorship is essential to helping women navigate the glass ceiling but current mentorship models aren’t working as well as they should. Research shows that women ages 21 to 33 truly value mentorship. However, less than 60% of these women have mentors. One reason for this unfortunate statistic is that the definition of mentorship has not strayed too far from it’s roots in ancient Greece: The elder mentor advises Odysseus’s young son Telemachus on how to conduct himself in his father’s absence. That definition leads to too many powerful women saying, “I don’t have time for a one-way relationship where someone is picking my brain.” On the flip side, young women are saying, “Finding a mentor is daunting.” Not a winning situation. We need to change the script. We need to upend this mythical view of mentorship and realize that wisdom flows both ways—younger women give as much as they get, if not more. The second thing we need to do is go to the core of what mentoring means—to inspire others, give them tools for their toolbox and help them gain perspective—and find ways to democratize mentoring, to make it more accessible. Boom! Someone half my age helped answer my question, solve my problem. Sharing stories about triumphs and skids. Stories we can share anywhere—over coffee or a glass of wine or on the train. If we can commit to sharing those important stories, we can change the definition of mentoring, and make it fun and accessible. There is no Prince Charming: Be done with the idea that someone is coming to save you. There is no Prince Charming. No mate, boss, corporation or government is coming to rescue you and it shouldn’t matter because you can do it yourself – you are your own Prince Charming. The walk just needs to be the walk: On a walk with Oprah Winfrey in South Africa, her Chief of Staff, Libby Moore, was firing questions at Oprah, trying to conduct business during the walk. That’s when the boom moment happened, when Oprah said, “Sometimes the walk just needs to be the walk.” Sometimes you need to think, take in what’s around you, listen and be in the moment, even if that means not saying anything. Do five things: Write down five things you want to get done today. Keep looking at that paper, cross off things as you do them. This will allow you to control your day versus being in reactive mode. Unlock your mind: When you’re trapped in the prison of your mind remember, the key is in the lock. Unlock it and open the door. Never give anything away for free: What you have to offer any workplace (or any person) is your personal point of view, your hard-won lessons through experience. That’s worth a lot. Don’t give it away. Stop fretting about what others think: The fear of what other people will think is the single most paralyzing dynamic in business and life. You will never own the future if you care what other people think. Fall in love with yourself: That’s not egotistical, that’s something we should all be proud to say because loving yourself gives you the power to say, “I can do this.” Plus we are not in a position to love anyone else if we do not love ourselves first. Be naïve: Not knowing how hard something will be can be your secret weapon to pursue what others perceive as impossible. Move on: Turn fear and failure into your best friends. When fear shows up, do it anyway. When you fail and fall, mourn it, cry it out and get back on the horse. So go and share a story with someone now. And encourage others to share their stories. Because our stories matter.